Norman Associates LLC was founded 1964 by Ray V. Norman to provide Fan Engineering, Sales and Service of Peerless-Winsmith fans to the New England market. Ray being a former Sturtevant fan engineer was dedicated to helping the Boston consulting engineers with their fan selection and specification needs. At that time Norman Associates LLC was located in Needham, MA. Norman Associates built it's reputation for outstanding customer support by servicing not just the engineer in the design stage but also with it's product field service after the sale. Ray grew the business over the years and in 1976 decided it was time to retire to his cabin in the back woods of Maine. After a search to find the "right" person to carry on his mission he sold Norman Associates to Edgar St.Germain. After 40 years of dedication to his customers, vendors and staff, in 2016 Edgar retired and sold the business to Doug Rothmann who has also been dealing with the same vendors for many years. Over the intervening years Norman Associates LLC has grown to become a full manufacturer’s representative firm serving the H.V.A.C. market in the New England area. We have built a dedicated professional staff of sales engineers and support staff to service our customer’s needs. In 1998 Norman Associates LLC moved into a larger building in Waltham, MA. The larger facility allows for the stocking of some of our product lines to meet our customers needs. For over 50 years Norman Associates LLC has provided engineering, sales and service to the bid and spec., design build and end user markets with humidification, dehumidification, custom air handling, precision air conditioning and industrial fan equipment. Norman Associates LLC mission is to provide the greatest value to our manufacturers, customers and end users. In order to achieve that goal we have partnered with the best available manufactures in each of our niche markets and continue to pursue products that complement our existing manufacturer’s equipment. We have committed our staff to all of the training that the industry provides. Norman Associates LLC has dedicated itself to provide the quality, value and service that our customers expect. 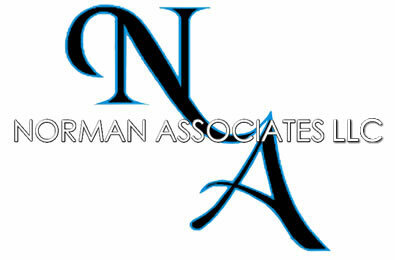 To that end Norman Associates LLC will always conduct business in an honest and ethical manner. We will not recommend or sell any product that is not the right one for the application.